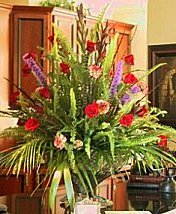 Petal Pushers is a leading, full-service florist proudly serving the Pittsburgh area with over 30 years of design experience. 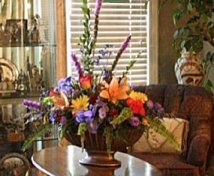 Whether you prefer traditional styles, an upscale European look, or something high-style and contemporary, our talented designers will customize your floral arrangements with your preferences in mind. At Petal Pushers, you will find a courteous staff, breathtaking floral designs, lots of green & blooming plants, and fantastic gift choices for all ages! Wedding & Special Event Flowers ~ Your special day is sure to be a "blooming success" when we create your bouquets and floral arrangements. Call our shop in advance and make your appointment for a consultation. We also have wedding rentals available. All Occasion Gifts ~ Browse our assortment of dish gardens and green and blooming plants for a gift that adds life to any room or office. We are stocked with a variety of delicious fruit and gourmet baskets, water fountains, custom silks, chocolates, cards, candles, tapestry, yard ornaments, potpourri, lamps, home décor, antiques and more! Petal Pushers is here to serve your floral and gift giving needs! For your convenience, we offer delivery to all local funeral homes and hospitals and we accept all major credit cards.